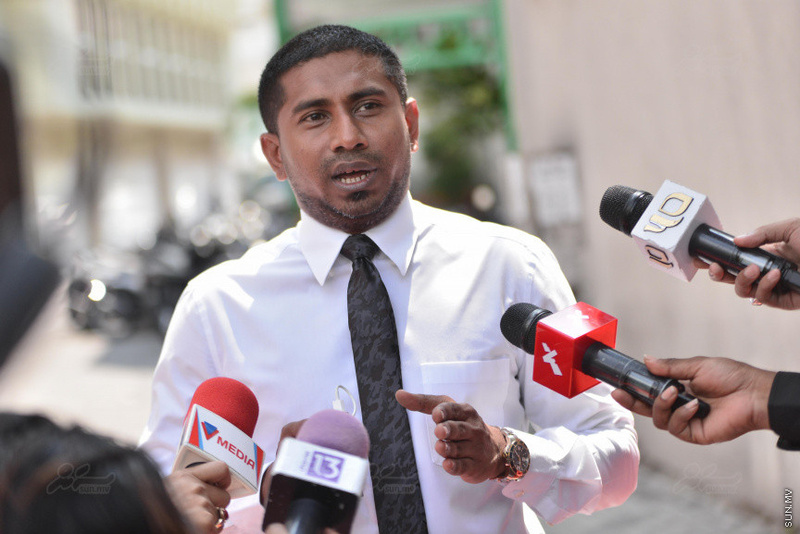 The MP for South Galolhu constituency, Ahmed Mahloof has been charged with terrorism. Sun Media has learned that the Prosecutor General's Office sent the case for prosecution at the Criminal Court on 3 April 2018. The first hearing in the case has been set for 2:45 p.m. this Wednesday. MP Mahloof has been charged with terrorism in relation to the protest in front of the Maafushi Jail following the Supreme Court ruling issued on 1 February 2018 calling for the release of the political prisoners. Mahloof also has a hearing in another case set for Wednesday. The second case against him is one of misinformation to a law enforcement entity. Sources say that the second charge against Mahloof is in relation to a tweet he sent out on 3 December 2017 stating that an attempt is going to be made on the life of the former Vice President, Ahmed Adheeb Abdul Gafoor. Following a conviction on two counts of obstruction of police duties, Mahloof has previously served 10 months and 24 days in prison.